A new pork advertising campaign designed to inspire consumers to make pork part of their midweek meal menu, will hit TV screens on Monday (25 September). The campaign, part of a three-year strategy from AHDB to rejuvenate the image of pork, is initially focusing on pork loin medallions and pork fillet as quick, easy, tasty meal solutions which can be prepared in under 30 minutes. Olympic swimming gold medallist, new mother, and MasterChef semi-finalist Rebecca Adlington has been confirmed as the midweek meals celebrity ambassador to support the marketing push. She brings with her almost half a million followers on Twitter and 80,000 on Instagram – a primary route AHDB intends to use to inspire consumers to cook new dishes. 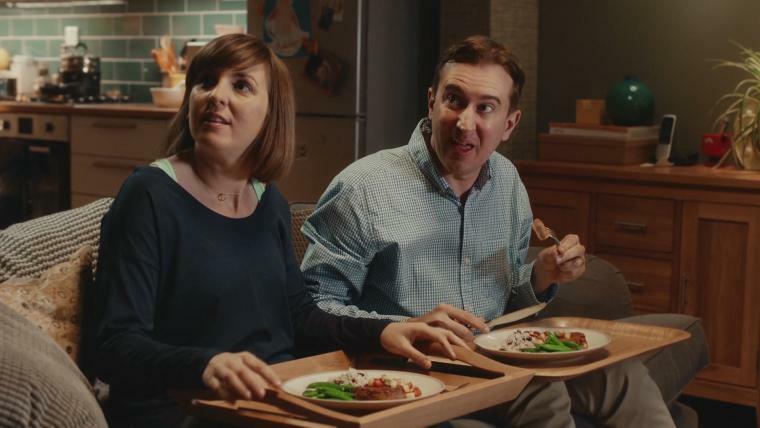 The new TV advert taps into research which highlights how consumers are ‘stuck in a rut’ when it comes to preparing meals during the week, and will aim to act as the prompt for consumers to re-evaluate their eating habits and to consider pork. The TV campaign will reach 77 per cent of the target audience at least 6.5 times, as it airs between September 25 and November 5. Another key part of the campaign will be recipe development with fresh pork loin medallions. While pork loin and fillet medallions are ‘ticking’ the midweek meal criteria by being quick to cook and lean, there is a danger of overcooking, AHDB said. 'Failsafe recipes' have been developed in order to incorporate ways to avoid overcooking, without compromising on the other midweek meal musts of quick, easy, healthy, and tasty. AHDB Pork is providing free point of sale (POS) materials to support the Midweek Meal campaign. To request a butcher’s POS kit, please click here or email .